Lee-Chin is an example of hope and transformation. Lee-Chin came to Mustard Seed Communities Jamaica in 1998 when he was seven years old. His family was no longer able to care for him. Lee-Chin has Down syndrome, which has never affected his efforts to help those around him or lessened the joy in his heart. He spent his early years in one of MSC’s homes for children where he was encouraged to learn and discover his potential. 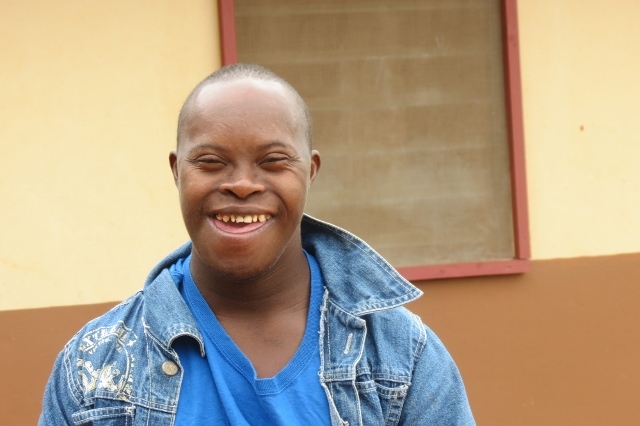 Since 2011, he has been thriving at Jacob’s Ladder - MSC’s home for adults with disabilities and the only program of its kind in Jamaica. Lee-Chin likes assisting his Caregivers with chores such as sweeping, wiping tables, and washing face rags. His best friends are Michael and Peta-Gaye and they love to listen to music and dance together! Lee-Chin is a very kind and loving person who enjoys sharing hugs, especially with our mission volunteers. He also likes to participate in the Mass and prays daily for Caregivers and other staff members.